Open Air Cars, So Please Don’t Rain. Well I said this week was going to be a busy one, and truly what a week it has been! Saturday I packed my bags and boarded the train to rainy Bradford ready for the next few days filming around the country. I was all set for an early night as I had a 6am start the next morning, but by a wonderful coincidence Starlight Express was in town and so I couldn’t not head down to the show to watch their last night in Bradford! The show is just phenomenal (if I do say so myself!) so make sure you check out the next nearest venue to you and get down there, and like the Bradford audience, cheer a shout throughout the show. Click here for info on dates. Sunday morning, there I was at 6am with Alana downing coffee as she carefully worked around the cup to get me looking camera ready for the days filming. What was I getting ready for I hear you ask? I was embarking on the Antiques Road Trip, two days of scouring the country for precious antiques to then take to auction and try and make a profit, with all proceeds going to charity. The catch? I had to beat my adversary, the one and only Anton Du Beke. We were both assigned an expert in antiques, mine being the charming James Braxton who was to accompany me as we drove from store to store in a vintage Citroen 2CV. I think this would have been slightly more charming had we not driven pretty much the width of the country from Bradford, to Blackpool, and then to Liverpool with several smaller towns in between! One of the places we made a stop at was the beautiful Hebden Bridge, which I saw in the papers yesterday had been completely flooded not long after we left! The beautiful river had completely overflown, and it was sad to see the devastation. It was such great fun being back with Anton, every time we crossed paths at one stop or another he would sweep me up into ballroom hold and waltz me across the floor singing as we went. Always immaculately dressed and charming as they come, he really is one of a kind. 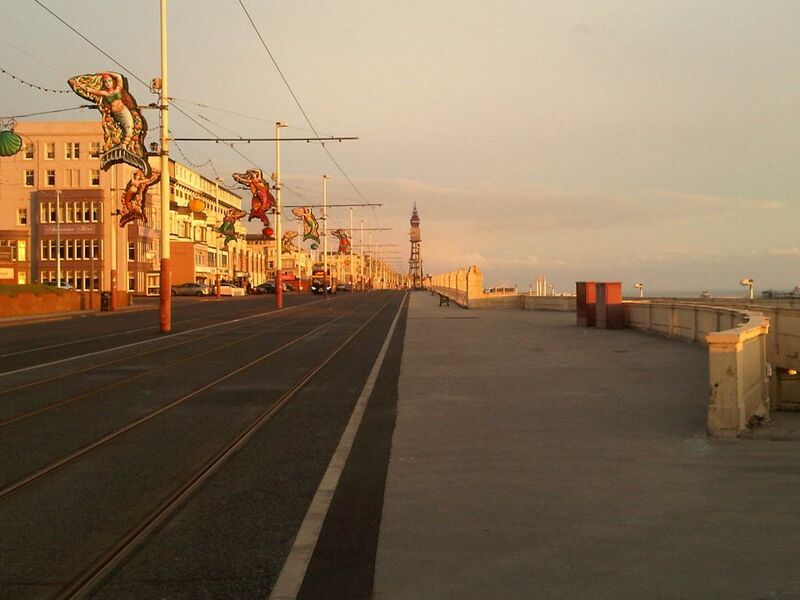 One of my favourite parts of the trip was visiting the Blackpool Tower. Now as I’m sure you all know I’m no stranger to this place, but for a very different reason than you may think. It was my childhood holiday destination for many a year, and holds so many memories for me. I won’t tell you too much now as you’ll have to wait to see the show to hear all my stories, but even the memories of taking Alana there when she was a child are still so strong, and it was such an experience this time being back to relive them. We went all the way up to the top where there is now a glass wall and floor, not for the faint hearted I can tell you! It was a beautiful clear and sunny day, and we saw all the way across to Southport, another childhood destination of mine. We took in the new 4D Tower experience which was just amazing, and most excitingly I got to have a go on the famous Wurlitzer organ in the Ballroom, something I had longed to do since I was a child. Any guesses where I am? Wednesday morning I was back with the cast of Grease and my new ‘bff’ Russell Grant, who is going to be appearing as the Teen Angel in the upcoming UK tour. I’m creating for the first time ever a dance break for him and all his angels. It’s going to be spectacular so make sure you click here to find out where you can see him. That evening I attended my dear friend ‘Queen of Gossip’, Dean Piper’s 3rd year Sunday Mirror party at the exclusive Wellington Club in Knightsbridge. It was a fantastic evening, with all proceeds from entry donated to Macmillan Cancer Charity. There were performances from newcomer Karima Francis, and X Factor winner Matt Cardle, as well as delicious food and plenty of (non alcoholic for me!) drink. Other guests included Louie Spence who as always I had a right old gossip with, and Lisa Stansfield whom I haven’t seen for almost thirty years since we met on the same television rounds when I was there with Hot Gossip! She looks so incredible, I wonder what her secret is? 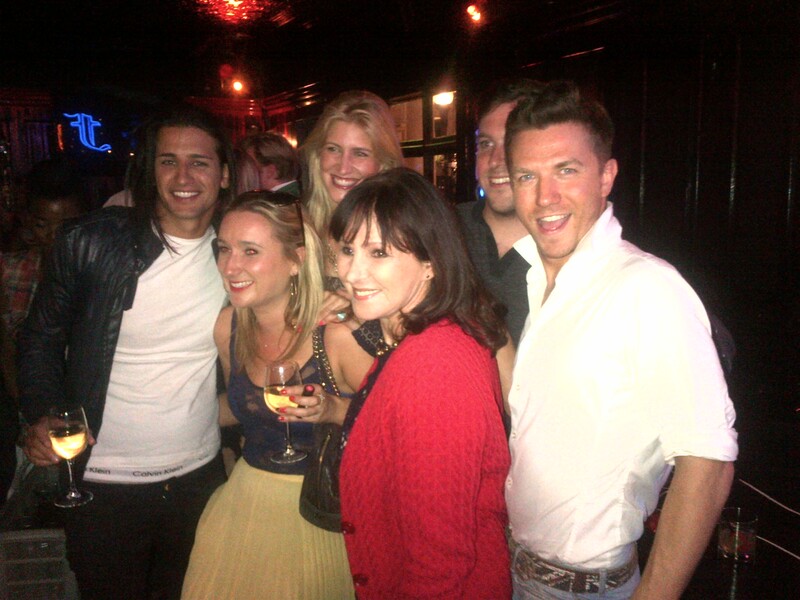 I had a hilarious chat with the beautiful Ollie Locke from Made in Chelsea, and of course there were many other good friends I got to hang out with as well, including two of my favourite other showbiz journos Sam Dowler and Natalie Edwards. As well you know, I’m not really a party animal when its up early for work the next day. 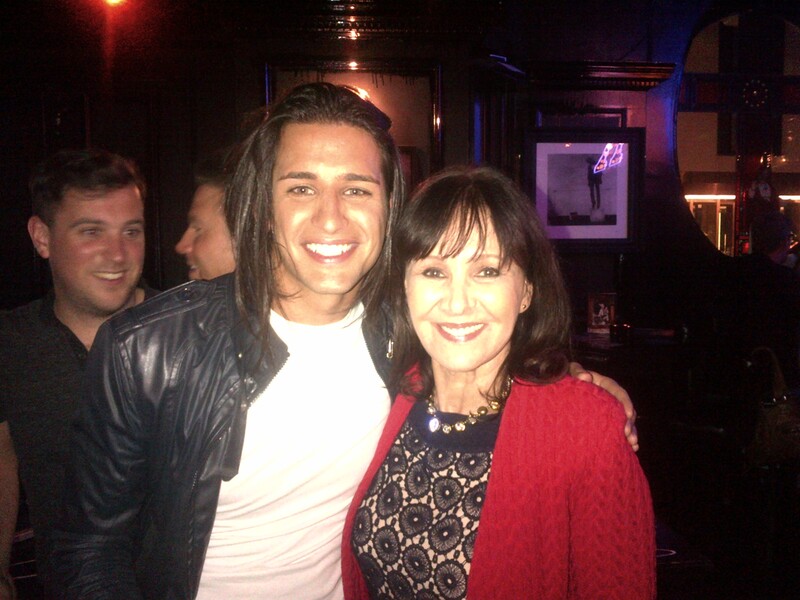 The brilliant Ollie Locke and I. The one and only Louie Spence. The absolutely gorgeous Kelly Brook and I.
Sunday was the longest journey home from the country, so it was an absolute joy to arrive back to a late lunch with our good friends and ex long time neighbours the Keebles. John, the drummer from Spandau Ballet, his wife Flea and their daughter Jaime who is the same age as Abi. Much hilarity, wine and good food made it a wonderful afternoon and I quite honestly didn’t want it to end! Still, that evening I was attending the last night of Revolution, a show created by the I.N.C guru that is Chris Manoe, starring my shining star of Saturday Night Fever fame and of course much else, the amazing Adam Garcia. The show was full of incredible dancers and choreography, and both myself and my parter in crime for the night Abi had a wonderful time. Monday was ‘meet the choreographers’ day, starting with an early lunch with Molly Molloy, my first American Jazz teacher and the woman who’s choreography made me leave Manchester and start a new life in London when I was a mere 22. 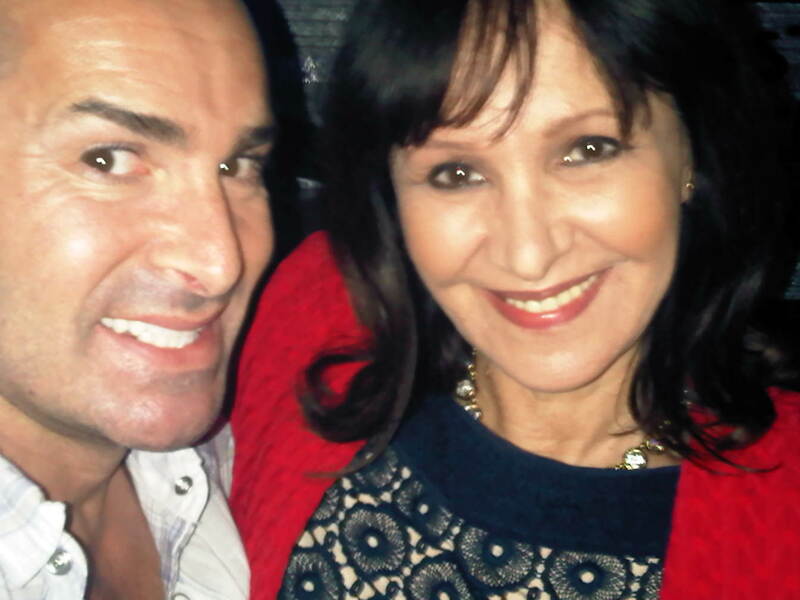 She studied with the famous Luigi in New York, who taught many stars including the legendary Liza Minelli – and there’s more about her later… That night was dinner at my favourite The Delaunay with Anthony Van Laast of Joseph and Mama Mia fame, and his gorgeous wife Annette. All day long I gossiped about dance, people who dance and the world of dance, and it was a heavenly day. Tuesday was what I’ll call my glamorous day. I went for coffee with the Duchess of York in Knightsbridge, it was lovely to chat with her all about the charity work she and I are involved in, and also just to hear quite how fascinating her life has been. I was attending a charity function at Downing Street so obviously wanted to look my best. Alana had done my hair and makeup, the new Gucci shoes were on, and off I went in my little car speedy speedy until I hit what was probably the worst traffic I have ever encountered. There was some kind of incident happening at Whitehall, and with all the sirens screaming and horns beeping I had a complete panic attack. I actually had to stop and get out of the car and just breathe, and then I got back in and drove all the was home shaking. So there I was sat in the kitchen, all dressed up and feeling like a complete fool as by the time I got home I was fine! Wednesday was a blur of emails, phone calls and boring meeting in the office so I won’t bore you with all the details of that… I’ll jump to Thursday where I was invited to the launch of the Great Ormond Street Hospital Morgan Stanley building. Eight floors and each more incredible than the next. Every sick child deserves to be treated in a place like this, and I was so honored to have been invited. I got to meet some of the incredible children being treated there, and my heart goes out to all of them and their families. 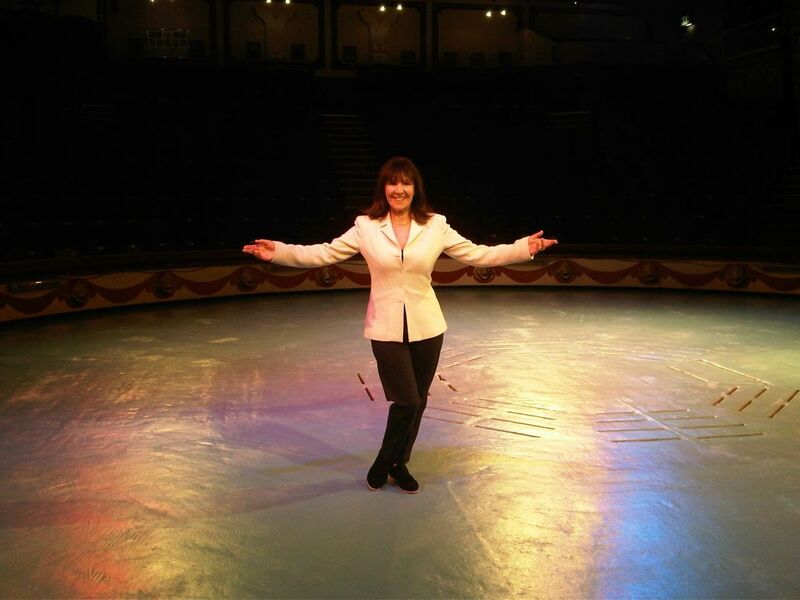 It was a very different night, and I was driven over to Hampton Court Palace to watch the legend that is Liza Minelli perform her only UK concert. It was a wet but truly fantastic night, and I caught up with my favourite journo gang Dean Piper, Sam Dowler and Natalie Edwards. The dance and theatre world was well represented with Craig Revel Horwood and Louis Spence, as well as Sheridan Smith and the lovely scarecrow that is Paul Keating. Friday morning I had breakfast with the incredible Gillian Lynn. Eighty six and just about to direct and choreograph a brand new musical, and of course she arrived straight from her early morning pilates class! Secrets, Secrets, and more Secrets! Feel like my life has been lived in some secret society as so many things I’ve been involved in I’m not allowed to tell you about yet! What I can say is that I’ve been working with some incredible people including the wonderful Kate Thornton, I do love her, and her incredibly sharp mind! This week I want to tell you all about my night at Revolution in Battersea park for the Cauldwell Childrens Ball I attended with my dear and long time friend Sinitta. I wore a gorgeous black lace dress from La Boutique that really made my fabulous hot pink Aspinal evening bag stand out, and of course my trusty black Louboutins. 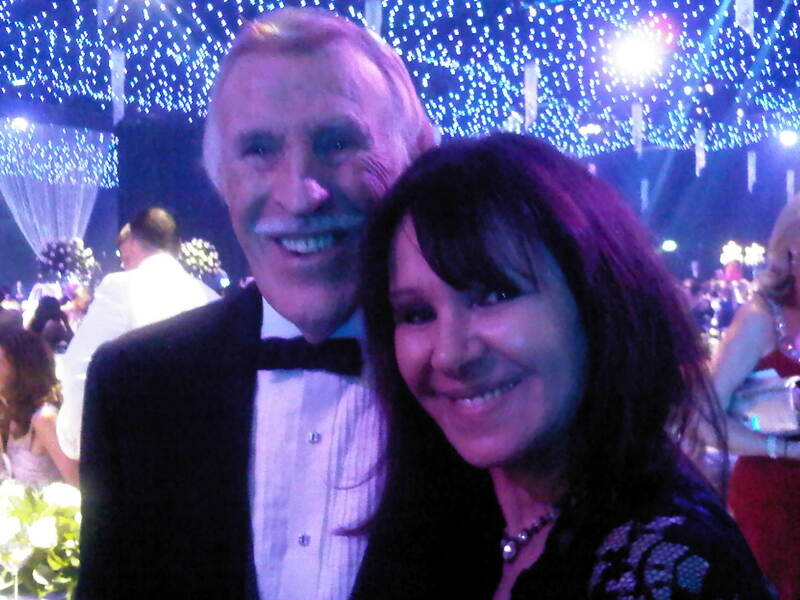 It was great to catch up with so many old friends, especially the legendary Bruce Forsyth who always tells me how much he misses me, and his beautiful wife Winnie. I saw the lovely Peter Andre, and the sweet and smiley Amy Childs, who looked simply stunning. There was a great performance by Gary Barlow, and coupled with delicious food made it a truly fantastic evening and all in aid of a wonderful cause. The very handsome Peter Andre and I. The legend that is Brucie. The next morning I crept away to recharge my batteries but all that happened was a battering of wind and rain! Just as well I got to stay inside and watch all the Jubilee festivities from my nice warm sofa. Congratulations to all those that braved the weather and took part, whether watching or performing, it was a really spectacular and very memorable weekend.